It’s always one of our most popular posts – Free Summer Movies! We’ve updated our list from last year with details on as many FREE Movie Nights we could find for you. There’s nothing more fun then grabbing your lawn chairs and blankets and heading out to the park to take in one of your favorite movies, and this year we think you’ll agree there are some great films being shown. Boone County Parks Family Movie Nights are held on Friday evenings at dusk. All pre–shows start at 7:00 pm. In case of rain, call (859–334–2283) for alternate locations and times. July 1 – No movie this week. Have a happy and safe Fourth of July! Colerain Township Parks & Services Department will again offer another year of free weekly entertainment at the Colerain Park Amphitheater! Families are invited to sit back and enjoy a fun family excursion! Movies start at Dusk and will also include Kids Karaoke at 8:30 PM! Movie titles listed are subject to change, so please check close to the date to make sure the title did not change. For questions, please call (513)385-7503. For those of you living near Deerfield Township, grab your blankets and chairs and settle in for a relaxing night under the stars. Throughout the summer, Deerfield Township hosts free Movies In The Park, alternating between Cottell Park, Landen-Deerfield Park and Fleckstein Park. Family friendly movies are offered on select Friday evenings, listed below. Movies will begin at dark. If weather is in question, visit the website before heading out. This summer the City of Fairfield will show a different movie throughout the summer on the first Friday of the month through October. Once again, grab your chairs and blankets and get ready for a fun night watching a movie in the great outdoors. In addition to the movie, the Fairfield Fire Department will have pre-show fun for the entire family. All movies begin at dusk at Village Green Park. 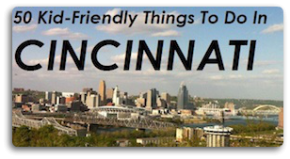 See Katie’s awesome post for details on all the great movies being shown on Fountain Square. 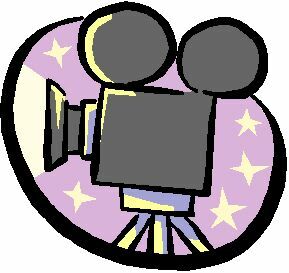 Friday Night Summer Movies: Free family movies every other Friday night at sunset behind the garage at the Community Center 300 George St. Bring your families, bring your blankets and chairs. Movies rated G or PG. Free pop corn, snow-cones, water and pizza (Limited supply from Harrison’s La Rosa’s). Head to Taylor Mill, KY for Friday Night Flicks. Movies are free and shown at Pride Park at the H.Lee Moening Amphitheater. 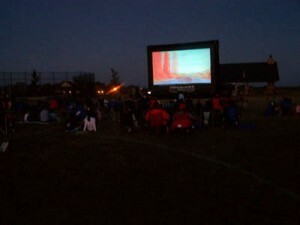 Attendees are encourage you to bring a blanket, sit on the hillside and enjoy a movie under the stars. The Taylor Mill Recreation Department sell drinks and popped popcorn, however, you are welcome to bring your own food and drinks. Movies begin at dusk. I could not find a list of movies at the time of this post, but I would recommend you watch the Taylor Mill Facebook Page for a listing. Presented by The West Chester Fire Department Association, West Chester Family Movie Nights begin at 8:45 p.m. at the Keehner Park Amphitheater on Barret Road in West Chester. Movies will be shown on Fridays July 27, August 24 and September 28. Bring a blanket or chairs and watch your favorite family-friendly movies under the stars. Movies are free. Watch the City of West Chester website for movie titles as they were not available at the time of this post. Editor’s Note: While we do our best to be accurate, please double check with the hosts before heading out.